In this season of gratitude, we are thankful to live in a community that values connection and neighborliness. This sentiment fuels our mission as a community foundation. It also inspired us to lean into strengthening connections in our community through a small grants program called Project Neighborly, which seeks to catalyze inclusion, encourage collaboration, and inspire conversation with neighbors that might not ordinarily have the chance to connect. This year, through Project Neighborly, we invested nearly $100,000 across a range of 23 innovative and very creative projects—from mobile experiential art installations and welcome dinners for immigrant students to elaborate city-wide scavenger hunts and art classes that connect experienced artists with emerging artists, including artist with developmental disabilities. Our foundation has the privilege of connecting people and resources to enliven ideas that inspire connection - so that communities flourish. 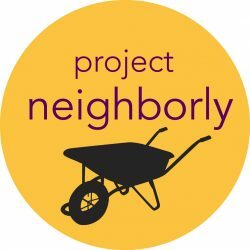 We look forward to sharing Project Neighborly stories soon. Until then, from our community to yours, Happy Thanksgiving! Alena Feeney is a member of Philanthropy Northwest's 2017-2019 Momentum Fellowship class and a communications fellow at the Whatcom Community Foundation.